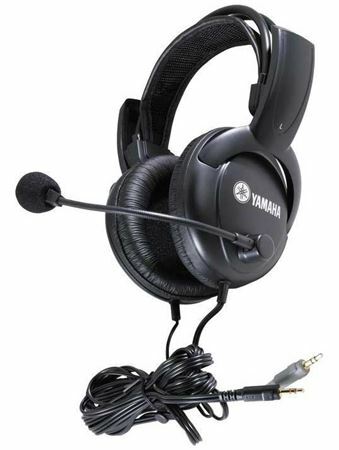 Shop Yamaha CM500 Headphones with Microphone from AMS and enjoy Fast & Free Shipping. The Yamaha CM500 headphones are the ideal choice for audience-interactive DJs or school music labs. By combining closed-ear, noise-reducing headphones with a sensitive dynamic microphone, Yamaha meets musicians demand for perfect sound reproduction from music creation to production. Crafted with high-impact materials and an ultra flexible headband, the CM500 headphones solid construction withstands repetitive twisting and hard use found in music labs and on the dance floor. The sound is good for what i need. Great for a talk back mic. I have a small home recording studio using mixcraft 8 and and a Focusrite Scarlet 2i2 and a couple of portables (an older Boss 4-track and a Tascam). These headphones are exactly what I needed. They sound good, the mic is nice and hot and the cord is long enough to make everything functional. The price was right and I got them within the specified time they were to arrive. I'm very happy with my purchase. Could be of higher quality. Thank You!